In an effort to keep our citizens safe, the City of Petersburg is now requiring background checks on door-to-door sales people. 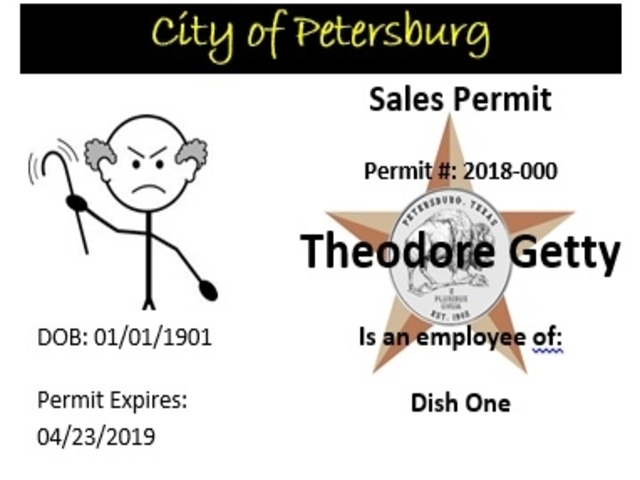 If a sales person comes to your door they should be wearing this sales permit badge around their neck (example above). If they have this permit on them, they have filed an application and passed a background check. If they do not have this permit, contact City Hall.